Appointments available outside regular business hours! Welcome to your mobile home vet! 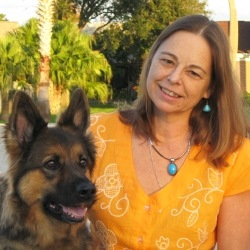 Welcome to Dr. Rae's Veterinary Housecalls, a unique, high quality, small-animal veterinary service providing providing comprehensive healthcare services for pets in New Smyrna Beach, Florida, and the surrounding areas of east Volusia county in the comfort of your own home. Dr. Raevsky is a graduate of the University of Florida, College of Veterinary Medicine and has extensive experience in preventative medicine, critical care , and surgery. She has been practicing locally for more than 10 years. High quality, personalized, convenient, and stress-free veterinary care is our goal. Our focus is exclusively on you and your pet, while difficulties of pet transport are eliminated and your time constraints are minimized. Be kind to yourself and your best friend - call us today!